We're casting today... melting old sterling silverware and recycling it into handmade jewelry! 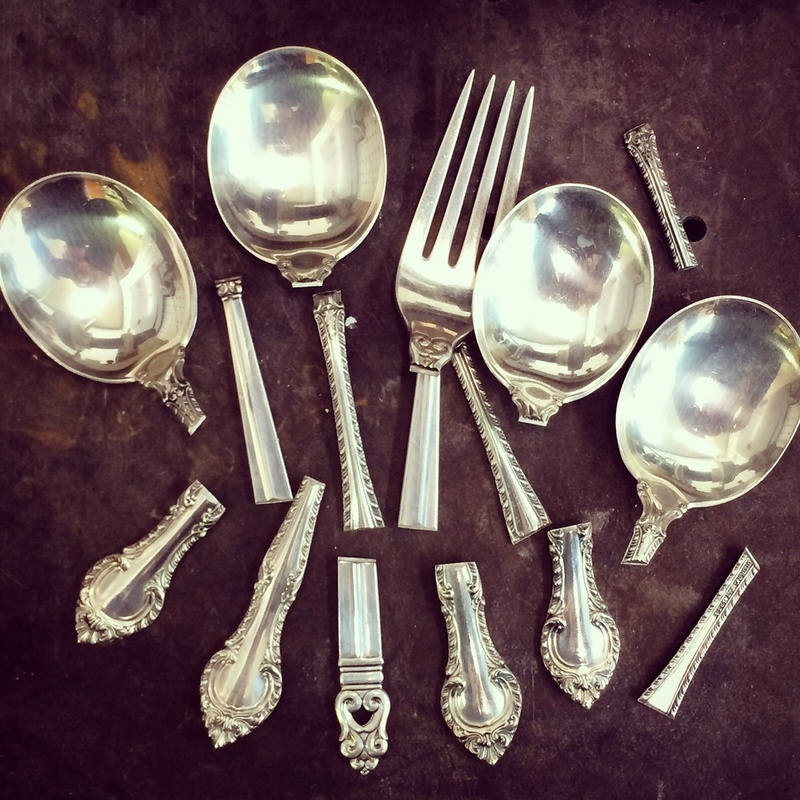 Sterling silverware ready to be melted down, recycled for the lost wax casting process. Each of our jewels at Crystal Hartman Art Jewelry are carved in wax and then cast into sterling silver, gold or bronze in the traditional lost wax jewelry making process. Working predominately with recycled sterling silver we cut it down, melt it and pour it into molds made around the wax carvings. Once cool, we break the molds and are left with jewelry ready to be cleaned, sanded, soldered, buffed and polished. Stones are set, pieces finished up and the jewellery is sent to its new homes! Recycled sterling silver ready to be places in a crucible and melted. Molten recycled silver cooling in the investment mold. Handmade silver rings cleaned up and set with turquoise, cheysoprase, moonstone, onyx and blue chalcedony. Happy Holidays all! The jewellery from today's casting will be available at the Studio & Bizarre Bazaar this weekend in Durango Colorado... come and see us!